The Joint Call to Action to Promote Healthy Communities—an effort that brings together eight national organizations—including the American Institute of Architects, American Planning Association, American Public Health Association, American Society of Civil Engineers, American Society of Landscape Architects, National Recreation and Park Association, S. Green Building Council, and Urban Land Institute—calling upon members to collaborate with one another to create healthier, more equitable communities. American Planning Association’s Healthy Communities Policy Guide which identifies policy ideas for local, state, and federally elected officials aimed at improving community health and quality of living through planning. During this year’s NPSG’s conference, the NHCP will be reinvigorated during the conference’s new format. Instead of attending sessions solely by topic as previous conferences, the eight conference tracks will provide participants with an opportunity for a more dynamic, hands-on learning experience. Each track is designed to create a cohort of practitioners that will acquire the latest tools, strategies, models and templates to integrate into their work. The Healthy Communities track has a stellar line-up of sessions and speakers, starting with a context-setting session entitled “Action Partnerships for Healthier and More Equitable Communities.” The presenters will provide highlights from the healthy communities movement, a NHCP recap, the four pillars of the APA’s Joint Call to Action and a discussion of the unintended consequences of community design and promising practices for development without displacement. The session will also include a lively conversation with the panelists and a small group discussion to prime the track’s final implementation workshop. 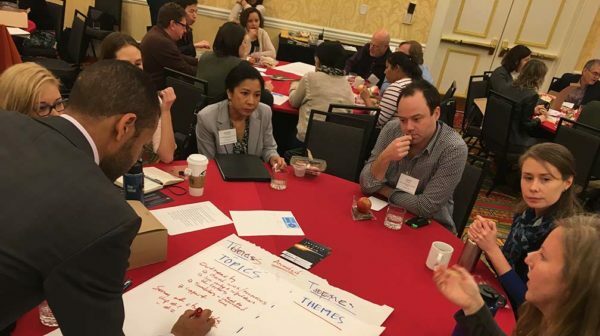 Lastly, to complement the track, organizers compiled a list of pre-conference resources including key toolkits, policies, and frameworks that advance the healthy planning movement.